Kaiser Slots Casino promises to give generous welcome bonuses for new members. The site is just new compared to the others out there, having been launched just in 2017. Aspire Global operates this online casino, which is one of the most trusted companies in the gambling industry. 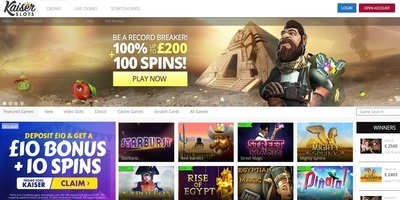 The website offers more than 400 games, including mobile games, video and classic slots, and video poker as well. If you are a fan of other casino games, you will also find roulette, blackjack, and baccarat on the website. Plus, you can play live casino games at Kaiser Slots where you can go against other players or an online dealer. Evolution Gaming, NetEnt, Microgaming, and Scientific Games are among the software developers featured on the site. Licencing is provided by the UK Gambling Commission and the Malta Gaming Authority (MGA). Most payment methods used on the site allow for instant withdrawals. If you have any issues with a game, prizes, or rewards, you can quickly contact the website through email and live chat. At the moment, currencies accepted at Kaiser Slots Casino are GBP, EUR, CAD, AUD, and USD. To make a deposit, Kaiser Slots Casino accepts bank transfers, as well as payments made through credit cards, Paysafecard, Skrill, Neteller, and Zimpler. You can also withdraw your prizes in cash using the mentioned channels. It is required that you deposit at least €/£10 and you can only withdraw from your balance if you have at least €/£20. Additionally, there is a withdrawal limit of 7,000EUR each month. Withdrawals are usually instant but may depend on the channel you are using. For instance, e-wallets can take from 48 to 72 hours to be processed while credit and debit cards often take longer from three to five days. Players can get up to 100% of their deposit, which can go as high as £100. In addition, you can also have 10 free spins that you can use on the Starburst game found on the site. Kaiser Slots Casino uses the standard bonus arrangement that you can also find on other online casinos. 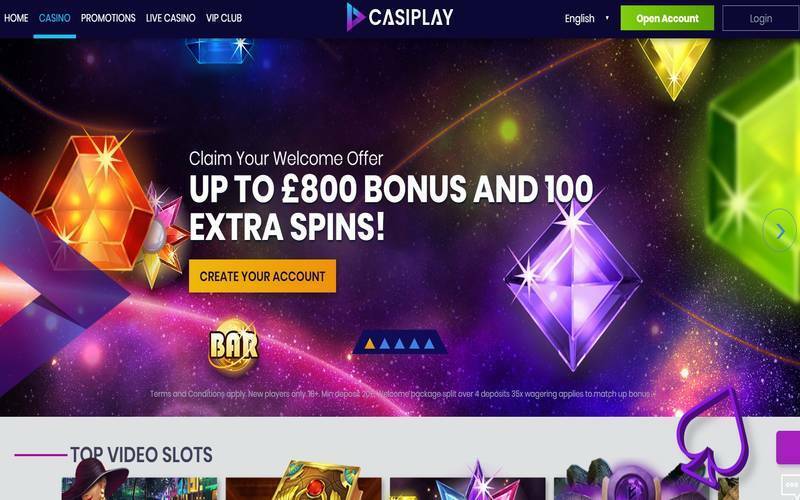 If you have played with other casinos before, you will recognise this one where you can only use the bonuses if you unlock them through depositing the required amount. Each bonus has a wager requirement, which you can compute by getting the sum of the deposit and bonus and multiply the answer with 40. You can bet up to €5.50 or about 15% of the bonus depending on which is greater on every round of play. Perhaps the good thing about this casino’s bonus is that you can win without limits whether through complimentary spins or the deposit bonus itself. Also, you can cash out the bonus if you want. You cannot play at Kaiser Slots Casino if you are from Spain, Italy, France, Portugal, Czech Republic, USA, and Slovakia. Although these countries are not allowed to join the site, the list is not as extensive as other websites that have plenty of restricted nations. Kaiser Sots Casino may be a new site for casino players but it has a good reputation. Some players complain about the long wait time for a few withdrawal methods and the lack of PayPal support. Nevertheless, the site has generated just a few complaints and they are often managed appropriately. Visit official website for more information. Full Terms & Cond apply!